From October 1st 2006, The Regulatory Reform (Fire Safety) Order came into effect. This is a new approach to fire safety law and represents the most significant change for over 30 years. The new regulations simplify matters and make it more straight forward for people to understand what they need to do to comply. How do I know if I am compliant? A Fire Risk Assessment is a legal requirement for most UK businesses. It is a written document and is much more than just a record of fire extinguisher testing etc. The legislation states that a copy must be available on site for inspection at all times. Vulcan Fire Ltd produces Fire Risk Assessments that are designed to meet the specific requirements of your premises and will meet all the requirements of the Regulatory Reform (Fire Safety) Order 2005. Our fire risk assessors work independently. By using our 160-question audit process, combined with many years of fire safety experience, we will ensure that your premises are fully assessed for fire risks to life, property and business continuity. 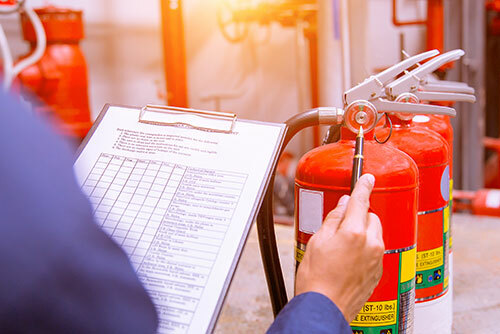 Following the Fire Risk Assessment we then provide a detailed consultation to discuss any significant findings and required actions to implement a satisfactory standard of fire safety within your premises. Call Vulcan Fire on 0845 017 8184 for more information or to book an appointment for your fire risk assessment audit.